The term "All-on-4" refers to the total rehabilitation of an edentulous patient or a patient with broken down, decaying or periodontally compromised teeth. The technique involves placement of 4 implants per jaw to support a fixed set of teeth. All-on-Four dental implants are angulated and have a strong steel framework that prevents movement during the healing period. 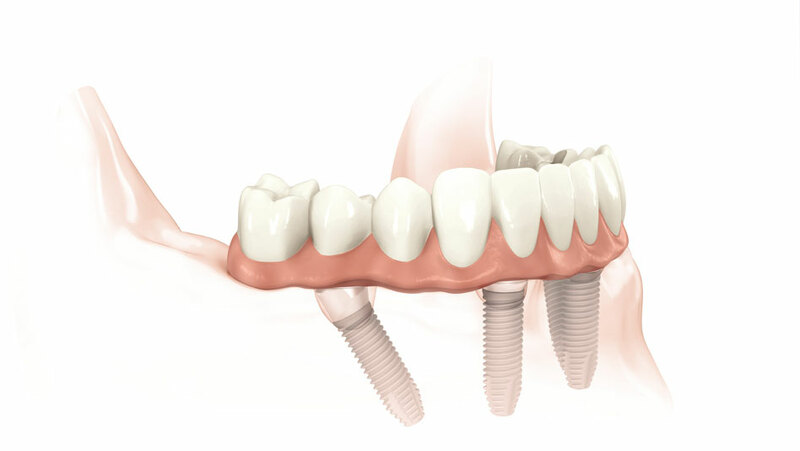 This allows immediate loading of the implants with a final fixed set of teeth inserted within 1-3 days of the surgery. The treatment only takes a single surgical visit and completely eliminates the need for bone grafting. The technique is more economical than conventional implants. The new set of teeth is fully fixed and looks and feels very much like your own teeth! Call us today on 0395570957 to find out if All-on-4 dental implants may be the right answer for you!